If you suspect that you may be getting overcharged on a utility bill… there are at least 150 chances per bill that you’re right. → There are numerous rate schedules available for a particular business’s account. These rate schedules also change from time to time. We can determine if a new rate might be advantageous to our clients. There is no legal or tariff rule that obligates the utility to determine what rate is best for you, so it is not uncommon to find oneself with an unsatisfactory rate schedule. The average layperson may find themselves in far over their heads when trying to determine the best rate schedule on their own. With our expertise, we can sort through and find what will work best for each client. 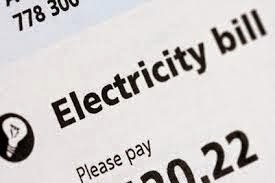 → Every year millions of dollars are billed to utility clients that are incorrect, and, to a large extent, they are in favor of the utility. Many businesses are surprised to learn that is not the responsibility of the utility to correct errors. You may very well be paying too much for the utilities your company uses. Don’t give your utility company a bonus. When you’re over your head in overhead, call Paul Steberger of Applied Utility Auditors.